Happy Tuesday! I hope your week is getting off to an incredible start! Today, I am going to be sharing the three products my beauty drawer is never without. I have shared each of these products on the blog and on my Instagram before, but I want to go into greater detail about what I love about them, as well as how I use them. This Estée Lauder Double Wear foundation is my holy grail foundation 🙌! As I have mentioned in previous posts, I have extremely sensitive, acne prone skin. I also have combination-oily skin, which means I experience dryness throughout my cheeks and forehead, and oiliness thought the T-Zone. I have tried at least a dozen different foundations, and this one has by far the best formula for my skin type. It is a matte, medium to full coverage foundation that lasts up to 24 hours. I am not sure why anyone would need to have their foundation on for that long, but this one will stay put in case you do! It also comes in 42 different shades, so you should be able to find your perfect match! What I love about this formula is that it is oil free and oil controlling. I used to think it was normal to have to oil blot my T-Zone every hour or so, but it does not have to be that way! When I use this foundation, along with the Laura Mercier Translucent Loose Setting Powder, my T-Zone stays completely matte for at least 5 hours at a time. I apply my foundation using a damp BeautyBlender sponge. Once the foundation (and concealer, if I end up using any) has been blended in, I use a kabuki brush to apply the Laura Mercier Translucent Loose Setting Powder all over my face, focusing largely on my under eye area and T-Zone. Once my base has been set, I like to go in and focus on my eye makeup. Most days, I choose to forgo eye shadow. However, I almost never leave the house without at least a coat of the Estée Lauder Sumptuous Extreme mascara. If you are looking for a mascara that adds both volume and length, you need to try this one! This mascara literally makes my lashes look like falsies when I layer it on. I also love that it does not flake off under my eyes or smudge throughout the day, unless of course I cry or laugh just a little too hard 😂😅. Overall, I give each of these three products five out of five stars! They have completely transformed my beauty regimen and I am always recommending them to my family and friends. Have you tried any of these products before? If so, I would love to hear your thoughts about them, or any of your other favorite beauty products, in the comments section below! Thank you for stopping by! I hope you enjoyed this post! Happy Monday! Today, I am so excited to share one of my favorite beauty products with you! 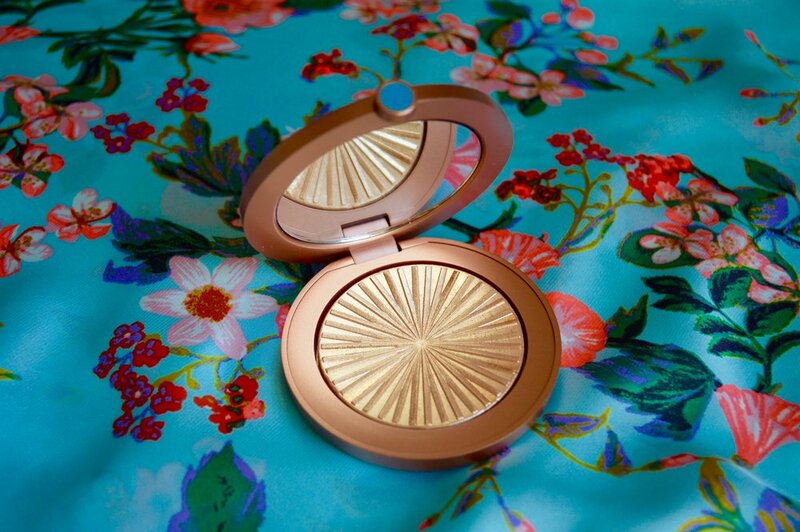 This Estée Lauder Bronze Goddess Illuminating Powder is a must have for that perfect glow. If you have a fair or medium skin tone, this bronzer will give you a warm, shimmering glow. If you have more of a medium or deep skin tone, this will look stunning as a highlighter on you! When you first use this bronzer, it will have a hint of glitter in it. However, after about two or three uses, the light layer of glitter becomes blended in with the rest of the powder, resulting in the most beautiful soft golden glow. It is hard to capture all of the different gold and bronze tones this product creates on camera, and the photos really do not do it justice. For reference, the swatch photo above was taken in natural light, without flash. Thank you for stopping by! I hope you have a great week! As I have mentioned in previous posts, I have extremely sensitive skin, so I am always hesitant to try out new foundations and concealers. Luckily, the beauty stylist that I work with at Norstrom has similar skin to mine and she has tested out just about every brand to see what works and what doesn't. I have combination-oily skin, which means I experience dryness throughout my cheeks and forehead, and oiliness throughout the T-Zone. Normally, I use the Charlotte Tilbury 'Magic' Foundation, which is an incredible full coverage foundation. 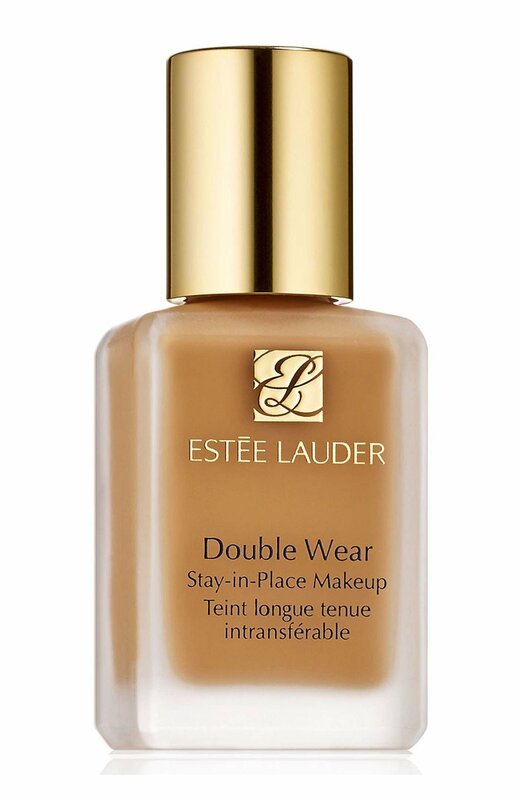 However, I am always open to trying new things, and my stylist recommended I try the Estée Lauder Double Wear foundation this time around. The second product my beauty stylist recommended is the NARS Radiant Creamy Concealer. It is a medium to full coverage concealer that is almost as long lasting as the Estée Lauder foundation. What I love about this concealer is that a little goes a long way. I use it under my eyes to correct those stubborn dark circles. This formula is free of parabens, sulfates, and phthalates, making it ideal for all skin types. Last, but not least, is the MAC Liptensity Lipstick in the color Toast and Butter. This is my first time trying a lipstick from MAC, and they did not disappoint. This formula is highly pigmented and has a kind of waxy texture to it. However, it leaves your lips looking plump and moisturized once it goes on. I receive so many compliments whenever I wear this color and I can't wait to try out some of MAC's other lipsticks now! I am so happy my beauty stylist recommended these products and that I gave them a chance! These three products have definitely elevated my makeup routine and will be permanent residents in my beauty drawer! As always, thank you for stopping by! I hope you enjoyed this post.